I have been in Europe a little over a week now. I landed in Bristol England via Redding to San Francisco to Toronto, Canada to Dublin, Ireland and finally to Bristol. Don't even ask me how that itenary was chosen. Anyway, I spent 2 and half days at the home of Ian Bruce and Diana Schlegel located in East Corker. I can't thank them enough for providing a space to get over jet lag. Ian and Diana with "Wolfy" in front of their home. The countryside of East Corker. On Sunday June 22 we drove across southern England to Dover to take the ferry across to France. Along the way Ian said look to your left and there was Stonehenge. It is always kind of rush to see an iconic thing such as that. We made it across the channel and then headed inland. Surprisingly, it was faster to head to Belgium then Luxembourg and then drop south to Metz, Fance where we spent the night. The next day it was off to Sainte Marie aux mines. 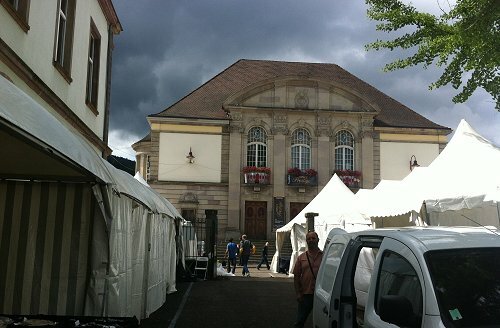 Tomek Praszkier had arranged a room for me to stay in in a house about 3/4 km from the show. It was very convenient being able to walk to the show vs trying to find a parking place which is IMPOSSIBLE when the show is underway. Set up day on Monday. A rare sighting this week - Sunlight! Tomek Praszkier and Jurek Jaszczyszyn at the local cafe on Monday night. 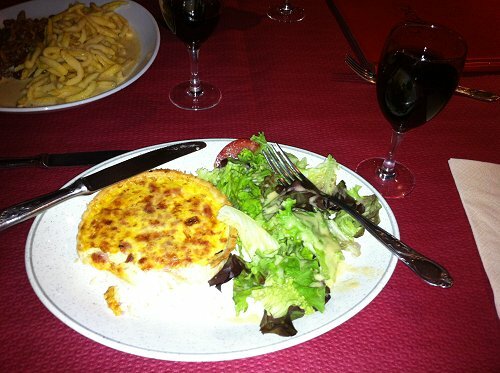 My first meal in SMAM was Quiche Lorraine and salad. 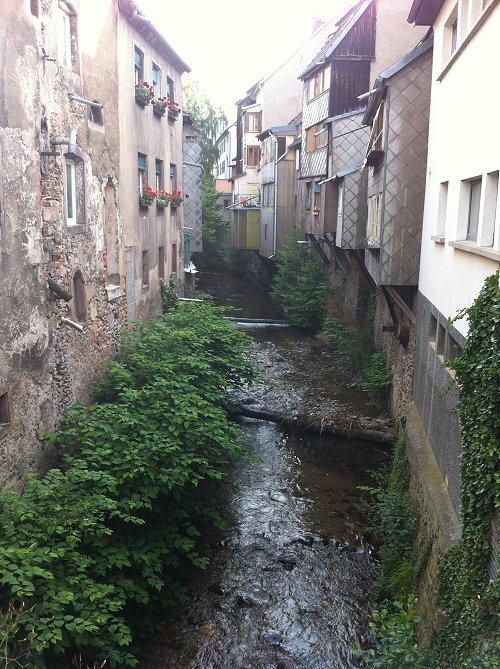 The small creek running through the center of SMAM. 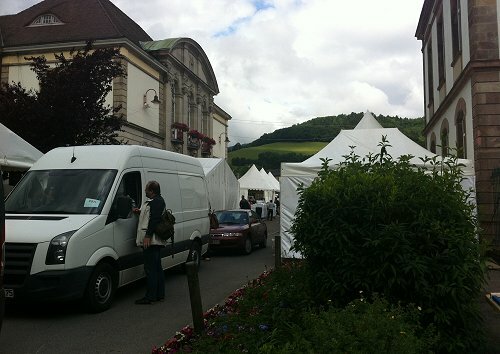 On the Tuesday during setup I saw Christophe Gobin. 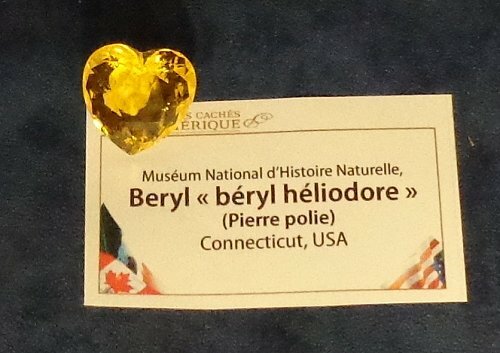 He showed me a specimen wulfenite from Morocco that was quite impressive but he had some doubts about its legitimacy. 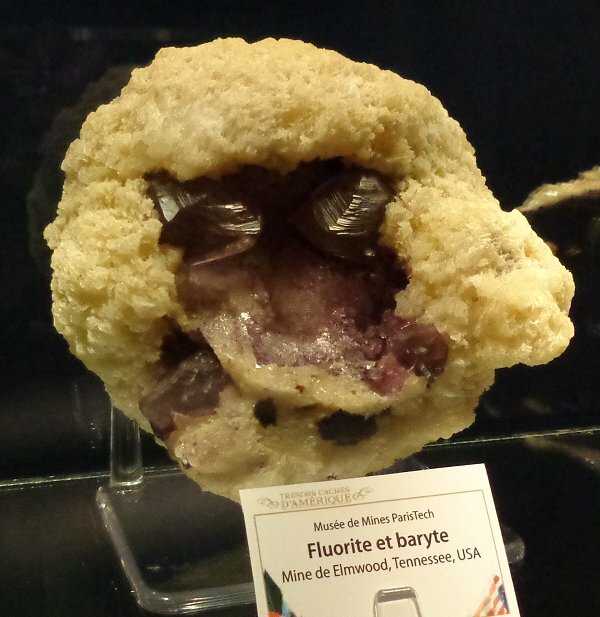 He had been approached by a guy selling 50 "superb" specimens of wulfenite and he was asking crazy money for them. Christophe wisely said let me check something and placed it in acetone over night. The pictures speak for themselves. 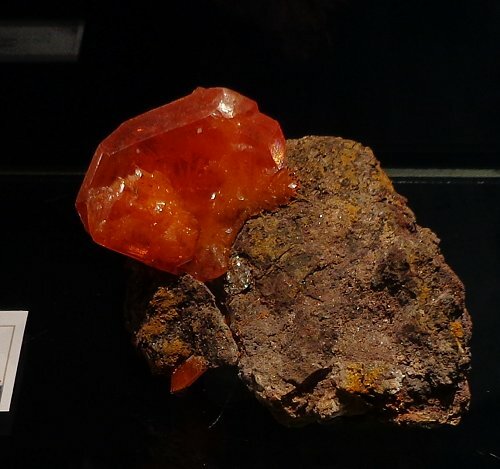 A 4 cm crystal of the "new" Moroccan wulfenite. 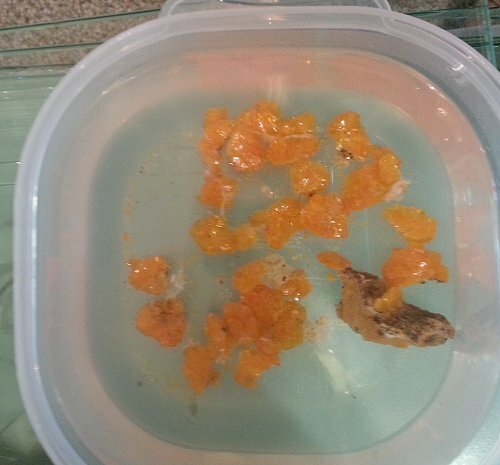 The same "superb" specimen after soaking in acetone for a couple of hours. Spirifer Minerals had several new finds from Morocco. 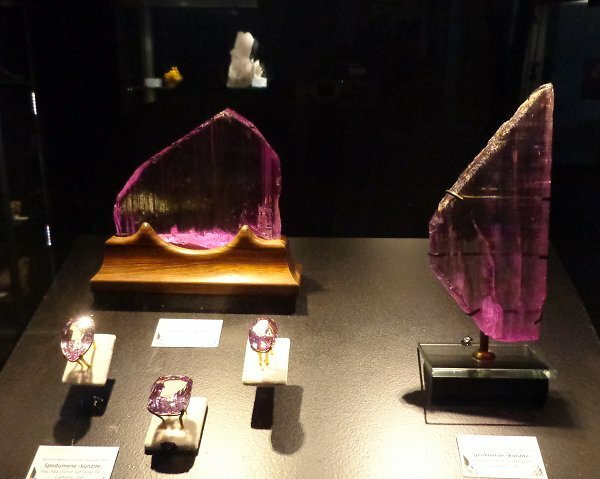 One was these doubly terminated quartz crystals with unusual hour glass amethyst phantoms from Adrar Tirecht, Bou Oudi, Morocco. 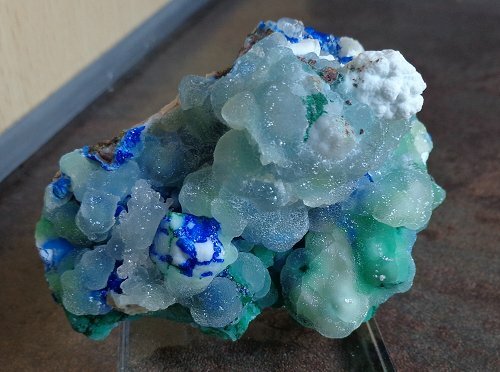 They also a new, small find of smithsonite over linarite from Bou Bekker, Morocco. One of seven of these unusual quartz specimens I purchased from Spirifer. 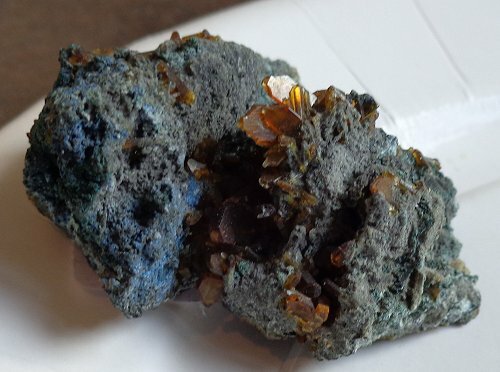 Smithsonite over linarite and brochantite. The Kristalle and Crystal Classics booth was offering more of the Gilles Emringer collection that was not available at Tucson. I had a chance to pick up some more new French classics including this pastel colored fluorite. 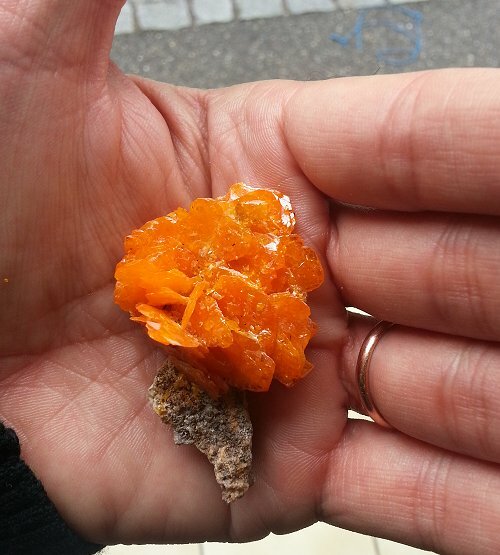 I an had also recently picked up a new lot of material from Iran including rich orange colored wulfenite and cerussite from Nakhlak, Iran. Specimens have been coming out of there for some time but the cerussites have not been this good before with exceptional reticulation features. 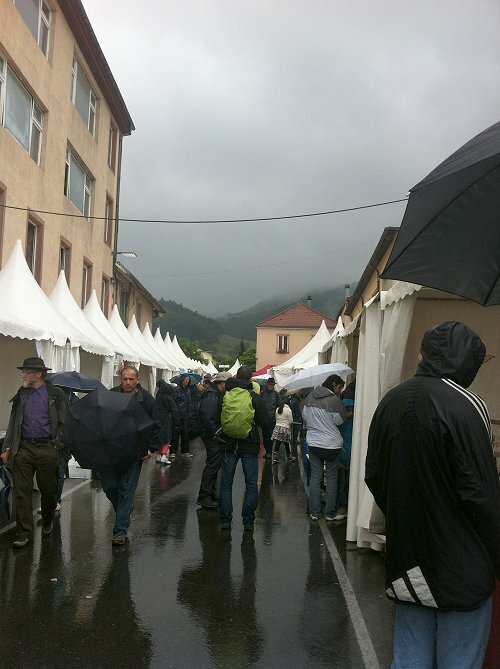 The weather has been a little tough this year here in Sainte Marie aux Mines. Cool and frequently wet which is in stark contrast to back home. 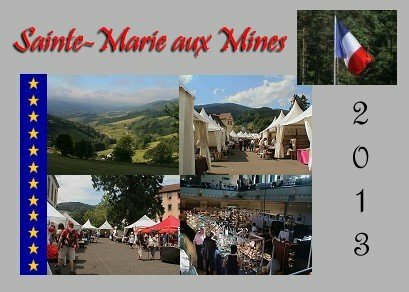 It has been nine years since my last visit to Sainte Marie aux Mines. The last time I was here it was very hot and humid. A very dark, rainy day here in SMAM. German dealer marcus Grossman had recently obtained an old collection from Tsumeb. 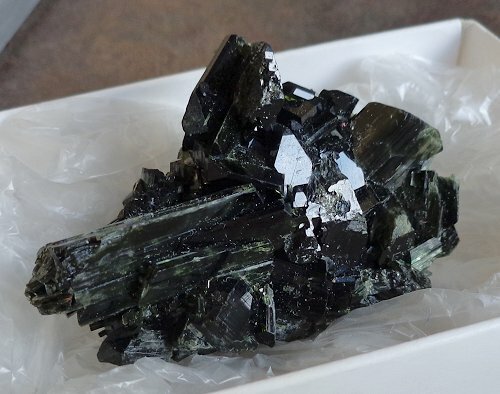 I immediately honed in on the rare stuff such as cuprian adamite and a couple of surprisingly rare species from Tsumeb - fluorite and baryte! 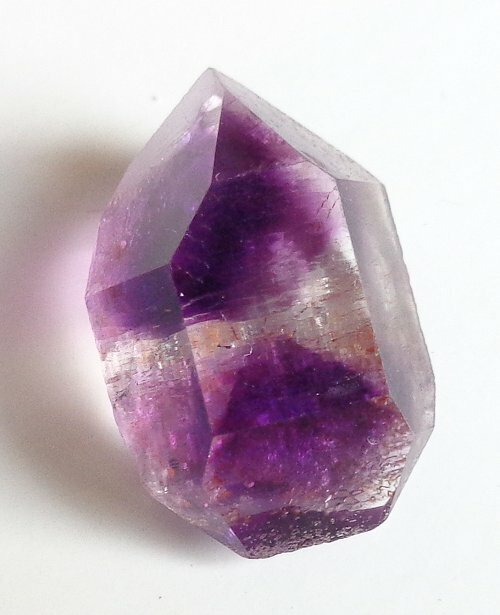 A 2.5 cm specimen of quartz with violet fluorite and mimetite. A 4 cm specimen with rich amber colored baryte crystals. 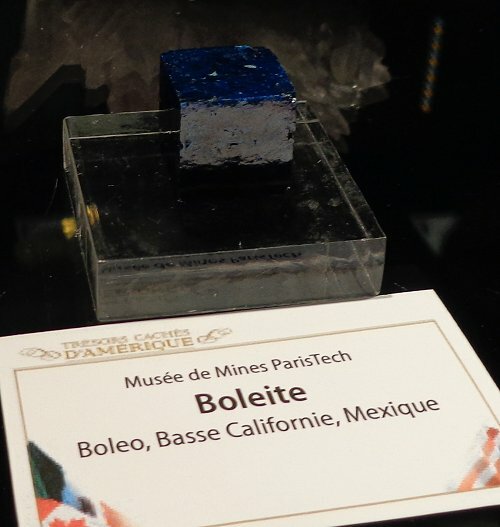 One of the more interesting new recently IMA approved minerals found here was from Brazilian dealer Luiz Menezes. He pointed me to the direction of a new mineral called Almeidaite from Novo Horizonte, Bahia, Brazil. 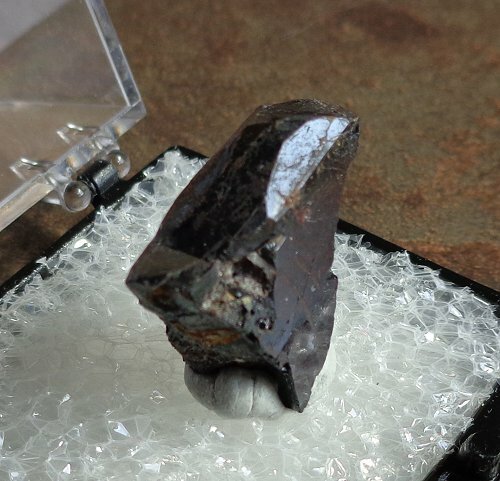 Luiz said that this mineral was overlooked since it was considered to be poor quality hematite. He said that the brown hue was a suggestion to him that it might be something different which it is. It has a very complex chemical formula: PbZn2(Mn,Y)(Ti, Fe)18O37(OH,O). He had a small group of six specimens left when I got there and I bought them all. 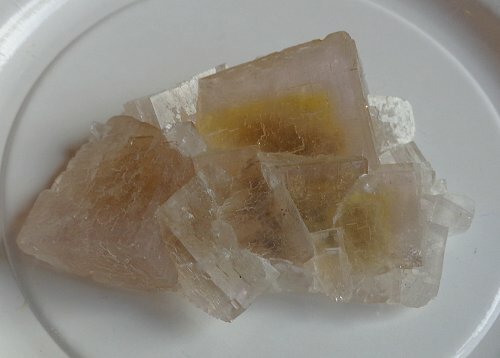 A 1.5 cm partial crystal of almeidaite from Brazil. While wandering the show I ran into a German collector who offered me some minerals to buy. I was quite happy to see that he had a group of clinoenstatite specimens from Astor, Pakistan. 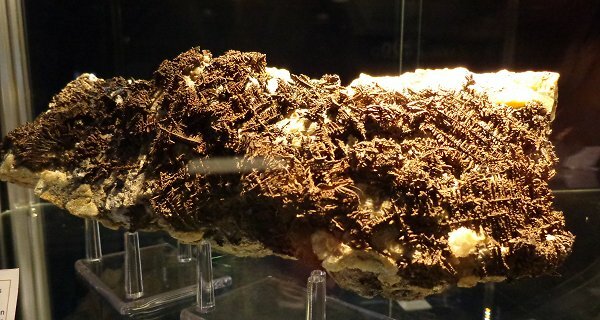 This was a one time find of this mineral in exceptionally high quality crystals. I picked up specimens from TNs to Cabinet sizes. 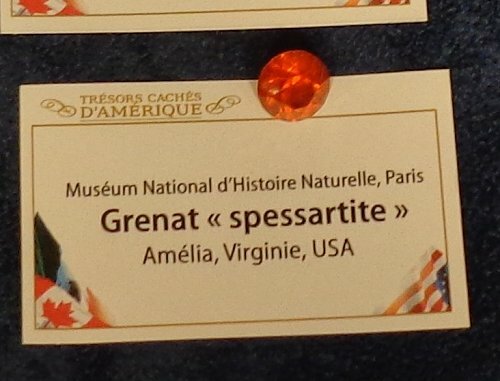 He also had a two specimens of gratonite with exceptional sized crystals to over 1/2 cm! 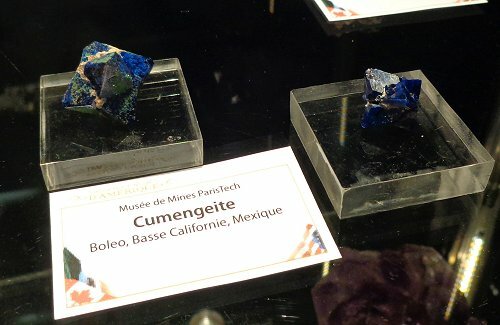 These are from the Excelsior mine in Peru. This is no longer a productive locality for this species. 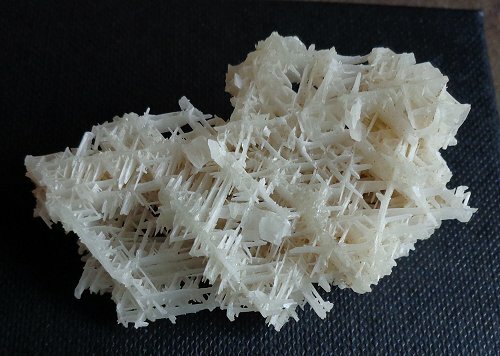 Crystals of gratonite to 0.5 cm. 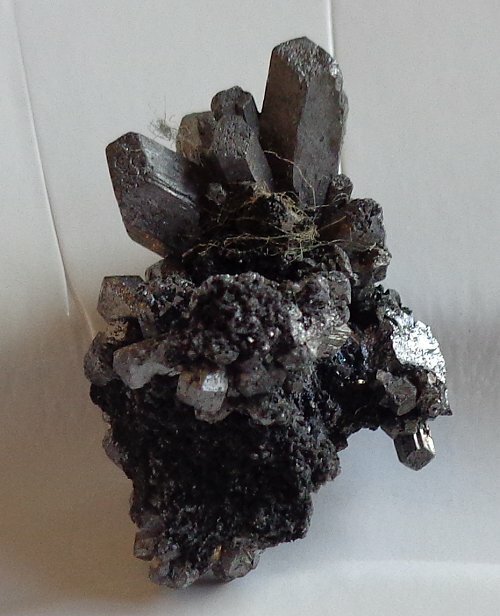 A 5 cm specimen of clinoenstatite from Pakistan. 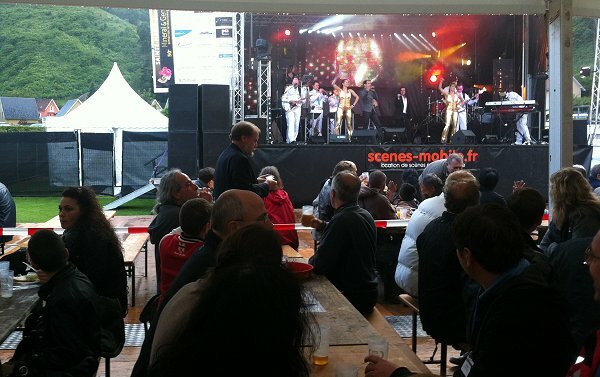 On Thursday evening there was a large feast prepared for the dealers at the show by the show organizers. 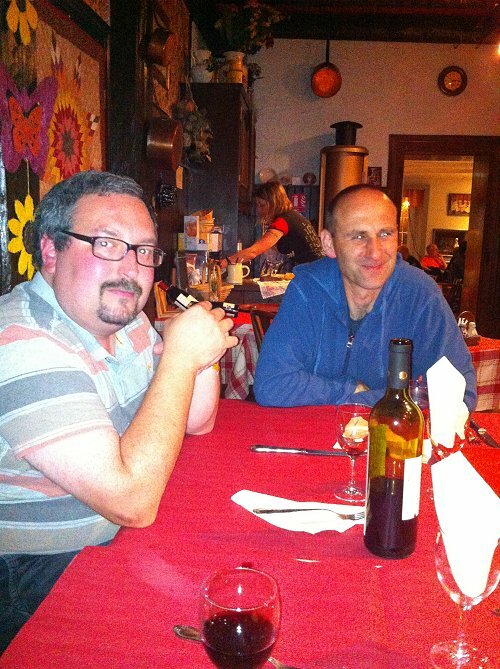 There was all sorts of typical Alsace dishes to try and of course beer and wine enough for everyone. Wayne Leicht is starting to feel inspired by the funky music. Wayne Leicht putting some moves on the floor. 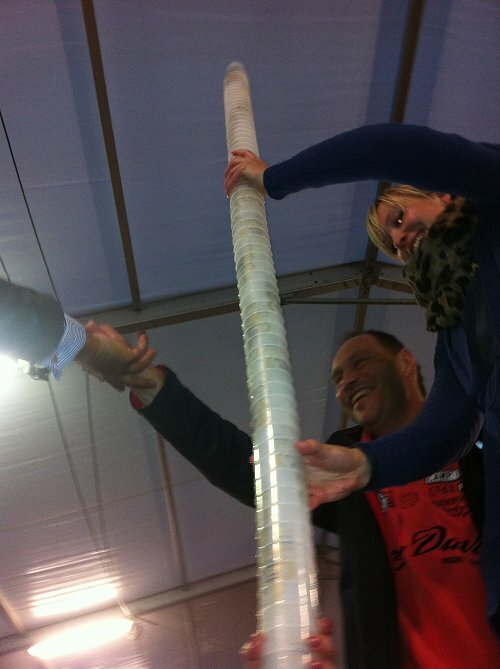 What happens when a crowd of people finish the beer - stack the plastic cups! 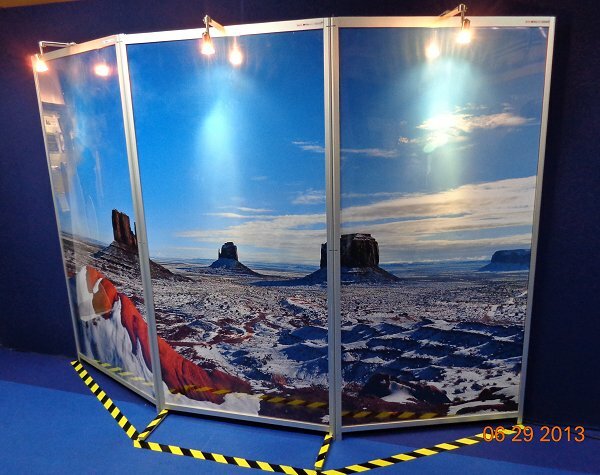 The theme this year at the show was treasures of North America. 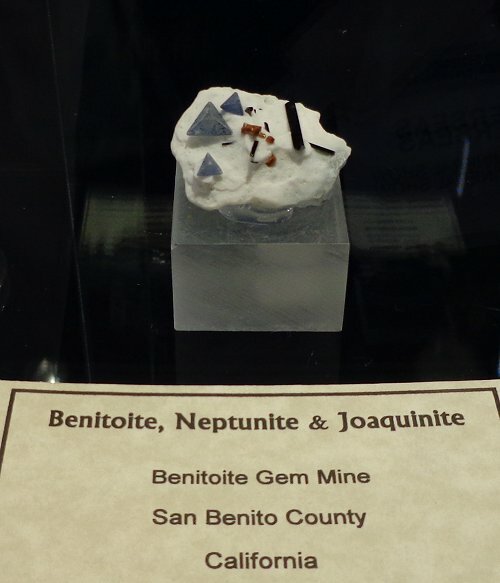 Most of the organizations and people who brought specimens to be displayed were from Europe obviously but I was asked to bring some of my benitoite collection for a display which I was happy to do. There were some incredible things there especially the huge cumengeite and boleite crystals just to name a few. 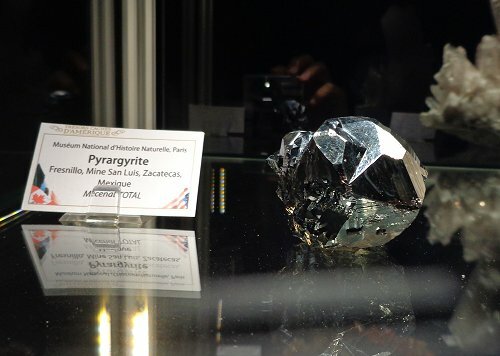 A very large crystal of pyrargyrite. 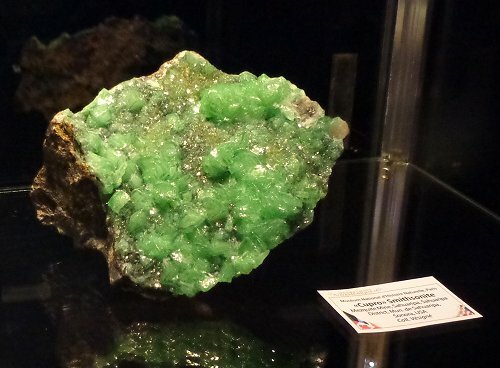 A "Tsumeb" looking specimen of cuprian smithsonite from the Mesquite mine in Sonora, Mexico. A 30 cm specimen of silver from Batopilla, Mexico. Kunzites from Pala, San Diego Co., Califorina. A stunning spessartine from Virgina! Two ENORMOUS sixingls of cumengeite - 2 cm on the left!! The largest boleite I have ever seen well over 2 cm across!!! 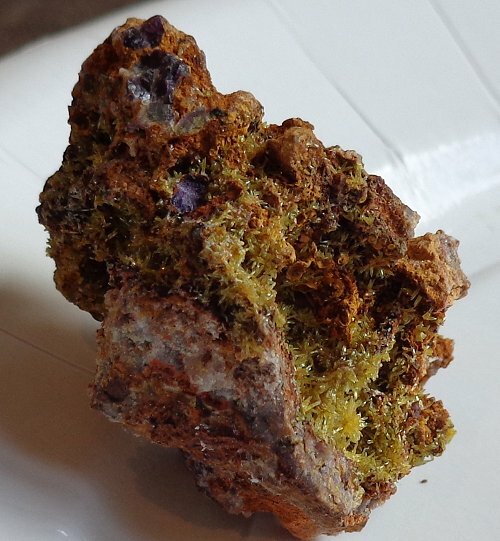 A beautiful specimen of wulfenite from the Red Cloud mine collected by Ed Over. Two corner etched remnants of a larger fluorite crystal from Elmwood, Tennessee. My "sushi" plate was here on display. 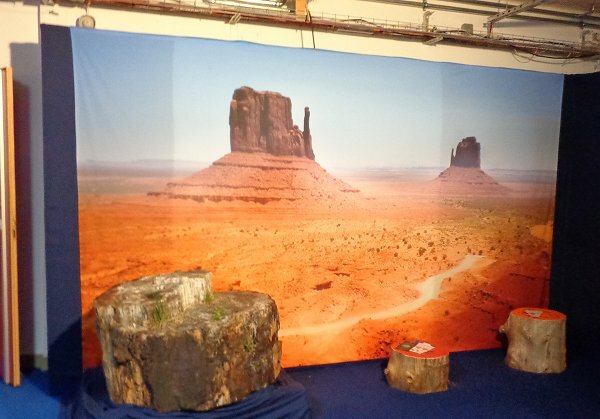 A fine scene of Monument Valley. Another compsite image of Monument Valley - The contrast with the snow is extraordinary from Tom Praszkier. This will wrap it up for SMAM 2013. Tomorrow Spirifer Minerals folks, Mark Mauthner and I will be headed for Bulgaria and visiting the mines in Madan. from there it will be to Greece and then to Poland for the Crystal Days. Three more weeks of Europe to go! I will have a large update when I get back to the US shortly after the 20th of July.